Scottish-Indian fusion as Red Note Ensemble is joined by the superb tabla player Kuljit Bhamra and piper-and-multi-instrumentalist Fraser Fifield for new and traditional tunes. Expect love songs, dance music, a hint of Bollywood and plenty of tunes you’ll recognise immediately even in their new guise. 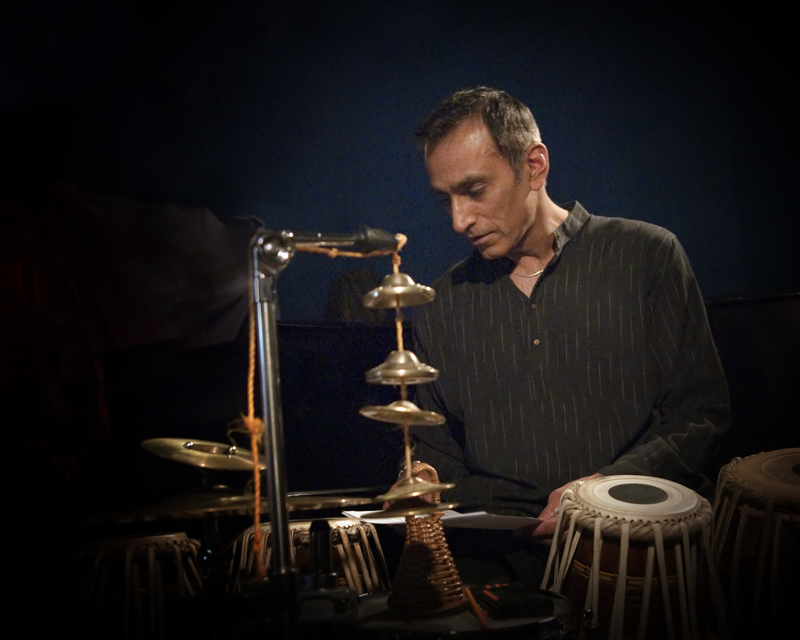 Join internationally-renowned tabla player Kuljit Bhamra during the day for a family-friendly hands-on Indian drumming workshop, introducing some of the rhythms and musical ideas that drive Reels to Ragas.